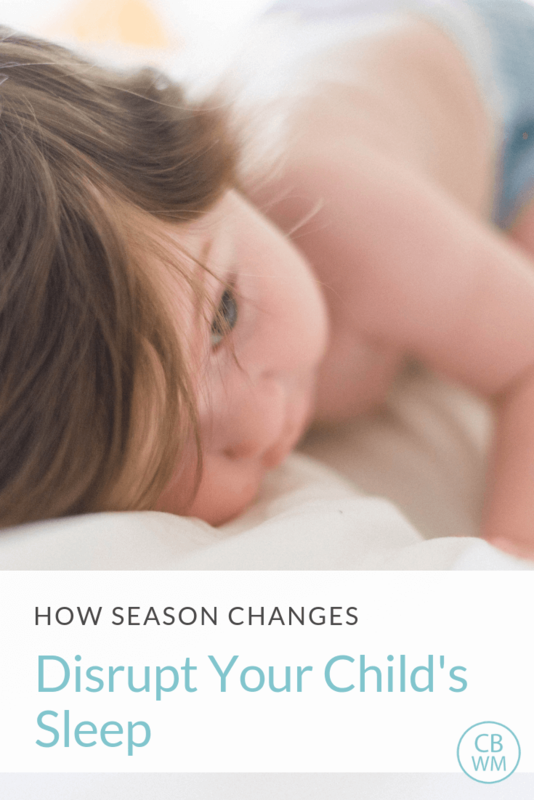 How Season Changes Disrupt Your Child’s Sleep. Five reasons your child is not sleeping well when the weather changes. Naps and night sleep can be disrupted. When the weather changes outside, you might find your baby or child stops sleeping as well. There can be a variety of reasons for poor sleep, from growth spurts to teething to needing a change in the schedule to sleep regressions. A lesser-known cause for sleep issues is simply the change in season. It isn’t the season changing that hurts your child’s sleep; it is how that change in season changes your daily routine and/or the sleep environment in your home. Let’s explore. When the seasons change in your house, your temperature changes in your house. You might be moving from summer temperatures to fall temperatures and turn your AC off. Suddenly the air in the house is warmer. Will this mean your child is overdressed? You might be headed into winter and turning your heat on. This might heat your child up too much. Sometimes even with the heat, the ambient temperature means everything is just colder and your child needs to be dressed warmer for sleep. You might be moving into summer and have the air conditioning turning on. While it is hot outside, the air conditioning might make your child colder and need to move from a onsie for sleep into footed pajamas. Perhaps you don’t have AC or the AC can’t combat the sun enough and the room is too warm. Can It Be Too Hot To Sleep? As seasons change, the outside noises change. In nicer weather, you might have noisy neighborhood children (or your own older children) outside playing. This might disrupt naps for your child. Children might be out playing past your toddler’s naptime, making it hard for her to go to sleep. A sound machine can do wonders to block out all of the sounds of other children having fun. Noises can change in the winter and leaves fall off trees and snow falls. At my house, with leaves gone the noises outside travel. Things I don’t hear in the summer sound like they are at my front door in the winter. Again, sound machines can help with this. In our previous home, snowplows were parked right across the street from us. At 3 AM on snowy days, those plows would fire up and Brayden would hop right into alertness so he could watch them pull out. Oh how I hated snowy mornings (and how he loved them)! As seasons change, our physical activity changes. We tend to be more active outdoors when temperatures are favorable. The time of year for that will change for you depending on where you live. If you are spending less time outside because of weather shifting, think about how you can add physical stimulation into your child’s day. Read up on the Importance of Exercise and Stimulation for your child here. Included are ideas for adding some movement into your child’s days. With season changes come exciting, novel changes to your child’s daily life. The first snowstorm opens up the fun of playing out in the snow. Summer can mean outside water play. Fall can bring on leaf jumping. Spring means leaving the confines of the house to play on actual grass. Novelty and excitement make it hard for all people, from adult down to child, to sleep well. There are some things you can do with the excitement and anticipation interfering with sleep. For one, if your child historically can’t sleep when excited, don’t start nap time by saying, “After nap, we will play in the sprinklers!” Keep that to yourself. Expose your child to the novelty as much as possible as soon as it si there. Once the novelty wears off, it won’t keep your child up as much. Finally, have patience. The excitement will wear off before too long. 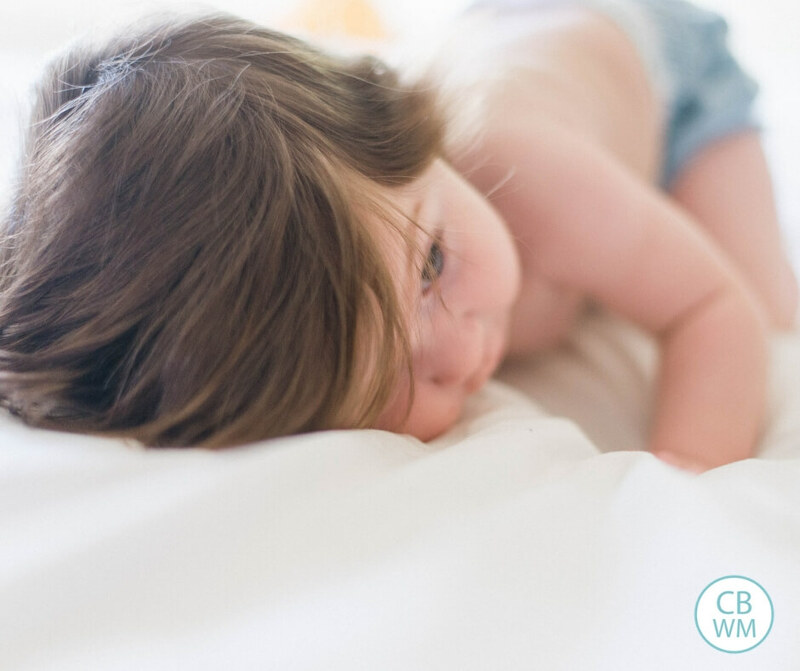 The next time your child is having sleep issues, consider the possibility of a season change being the culprit. Address what you can and see if that helps your child get back to better sleep.